When he was announced as the new Hibernian manager, Paul Heckingbottom’s former Norwich City team-mate Gary Holt was quick to welcome him to the Scottish game. The two will meet up tomorrow night as Holt’s Livingston team play host to the Leith side, with both teams still harbouring hopes of a top-six finish. The West Lothian men have won one and drawn one of the head to heads with the Easter Road team this term and Heckingbottom admits that he was unsure if his friend was suggesting his players would be the ones offering the introduction to ‘real fitba’ or if he was talking about Scottish football in general. A run of five Premiership games without defeat since arriving in Scotland last month would indicate that Heckingbottom has had little problem adapting to football north of the border. The run also means his side are favourites to clinch a spot in the top half of the table and are looking to leapfrog Hearts and move into fifth. But a win for the West Lothian outfit would see them close the gap on sixth to just four points and allow them to cling to their slim ambitions. A spell playing with Holt means that Heckingbottom knows what to expect from a team managed by his former colleague, saying the man he claims was quiet as a player and “always wanted to please the manager” has moulded Livingston in his own image. 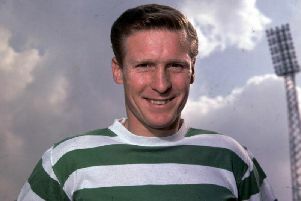 Agreeing that the Scot was a player who had maximised the talent he had thanks to his impressive industry and dedication, he said that it was evident that those qualities were helping him get the best out of his squad as a gaffer. “The one quality you have then is hard work. Maybe a bit of pragmatism and a knowledge of what it takes to get the best out of himself and now his players. While Holt has joked that he was the one doing all the work in the days playing alongside eachother, he also described Heckingbottom as one of the nicest men he had encountered in the game and it is clear that the bonds forged at Carrow Road were strong. He will get a close-up view of Holt’s handiwork tomorrow night but following the international break, the Hibernian boss says he is keen to get back to competitive action and is buoyed by the return to fitness of Ryan Gauld, pictured, who could be involved. Injured against Celtic a week before Heckingbottom arrived at the club, he has yet to utilise the talents of the youngster who returned to Scotland on loan and had been exciting the Hibs fans before his injury lay-off and signalled his return to fitness with a run out in the development team. “I wasn’t aware of him [before I came here] but what I have noticed since I have been here is that whenever I have been at a development game or out in town I have been asked: ‘How’s Ryan?’ ‘When will he be back fit?’ Lots of people have been asking about him. “I watched back all the games from before I came in and we’ve had a chat, so he knows what is expected of him within the team and he has been working on that already.